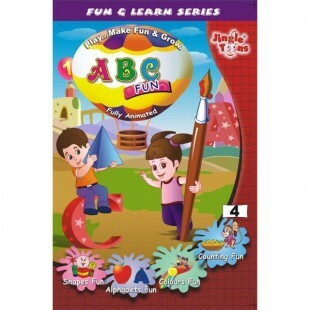 ABC FUN is the best way to start education of young ones! See the children sing, dance and learn automatically! Fun with Shapes - Playing with shapes, learning circle from chapatti, rectangle from Door, triangle from sandwiches. Children simply enjoy it! 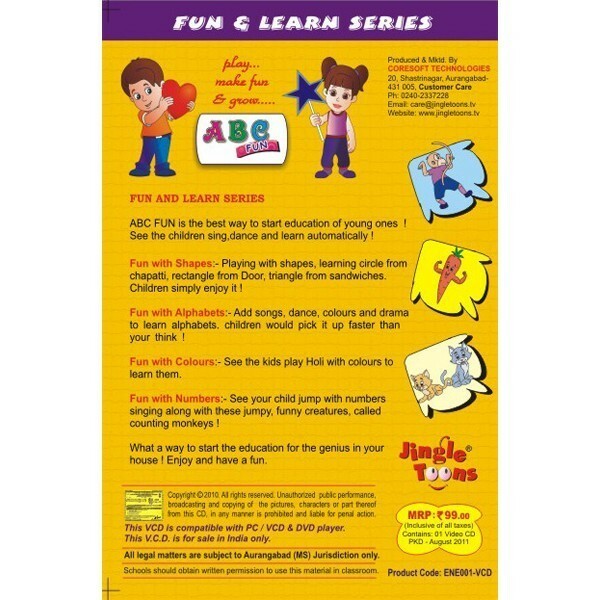 Fun with Alphabets - Add songs, dance, colours and drama to learn alphabets. children would pick it up faster than you think! Fun with Colours - See the kids play Holi with colours to learn them. Fun with Numbers - See your child jump with numbers singing along with these jumpy, funny creatures, called counting monkeys! What a way to start the education for the genius in your house! Enjoy and have a fun.